The new 8-episode miniseries, made by the makers of ‘Planet Earth,’ shows the Earth in all its majestic glory—and serves as a reminder that this majesty is slipping away. Beauty and tragedy are intertwined in Our Planet, never more so than during its second episode “Frozen Worlds,” in which thousands of walruses take up residence on Russia’s northeastern coastal beaches due to the fact that their natural habitat, the frozen sea ice, has contracted. Crowded to the point of instigating hostile stampedes, some walruses take to the surrounding cliffs for refuge—an unwise decision, given that the flippered marine mammals are not fit for such rocky landscapes. Before long, one slips and falls to its death, followed by another, and another, until they’re cascading down by the hundreds. It’s a horrifying calamity born from climate change, and it epitomizes Our Planet’s marriage of celebration and lamentation. 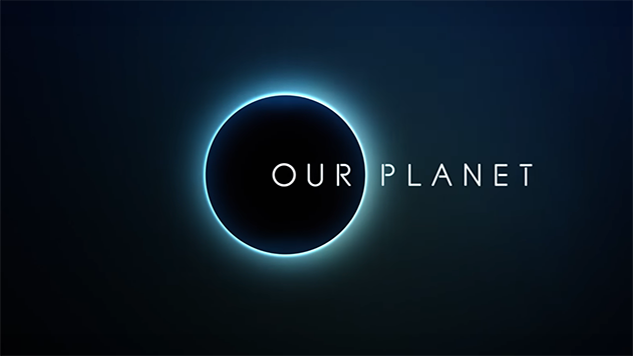 Debuting on Netflix April 5, the eight-episode documentary series is produced by the award-winning team responsible for the BBC’s Planet Earth (and its various offshoots). Like that acclaimed predecessor, it offers visions of the natural world, narrated by the legendary David Attenborough, that are sure to take your breath away—don’t be surprised if, after fifteen minutes, you’re already dreaming of purchasing a new 4K TV. Yet while Our Planet looks and sounds familiar, there’s something different about its sterling portraits: a deeply-ingrained sorrow for a world struggling to cope with the ramifications of modernity. Sadness and fear can be heard throughout in Attenborough’s voice. And they’re conveyed by the series’ myriad snapshots of unique habitats, beginning with an initial episode that functions as a table-setting primer for subsequent episodes (which often directly revisit, and expand upon, its material). “For the first time in history, the stability of nature can no longer be taken for granted,” Attenborough intones. Nonetheless, “the planet can recover. Never has it been more important to understand how the natural world works, and how to help it.” That ethos guides Our Planet from frigid tundra to bountiful forests to arid deserts to glistening oceans, adhering to a template that maximizes wonder, and then exploits it for both mournful critique and hopeful advocacy. . Produced over four years, in 50 countries across every continent, by over 600 artists (including numerous cinematographers; 19 are credited on the first episode alone! ), Our Planet brilliantly balances macro and micro perspectives. Whether seguing from imposing bison to tiny caterpillars, or from aerial shots of throngs of bluefin tuna to in-your-face close-ups of the creatures corralling anchovies, the show is at once expansive and intimate. One minute, it’s detailing the enormous flow of water between mountain ranges and river beds, and the next it’s situating itself inside an anthill—a versatility so astounding, it’ll frequently have viewers thinking, “How did they do that?” (The answers lie in a supplemental hour-long making-of feature). In terms of depth, insight and pure visual majesty, no other nature documentary can hold a candle to it. The notion of symbiosis—of the interdependence of man, animals and ecosystems—is fundamental to Our Planet. Not an episode goes by that Attenborough isn’t explaining how one species’ behavior (or existence) is dependent on another’s, as well as how the environment works to sustain them all, and vice versa. It’s in that crucial respect that the series underlines humanity’s deleterious effect on Mother Earth. Awe-inspiring vignettes routinely double as cautionary tales about man-made climate change’s radical restructuring of age-old natural orders. From the snowy wastelands of Antarctica, where diminishing stretches of ice are impacting polar bears’ ability to hunt, to the arid plains of Africa, where draughts now force hippos to cover themselves in mud rather than water, to the Congo’s shrinking rainforests, where gorilla populations have been halved by poachers, the destructive impact of our own actions is always front-and-center. Attenborough and company are upfront about their activist agenda—they want viewers to know that the very marvels they’ve tuned in to watch are in peril of disappearing altogether thanks to contemporary civilization. Farming, hunting and damming are just some of the developmental challenges now facing the animal kingdom. While some of Attenborough’s commentary would benefit from a bit more context—when he talks about deforestation, for instance, it would be nice to know the historical starting point to which he’s referring—the series makes its points via persuasive non-fiction examples of creatures altering their ancient ways, fighting for scraps of diminishing resources, and risking life and limb to ensure their continued existence. Far from a harangue, it also exudes giddy amazement at the ingenuity of animals, and nature: their clever strategies for finding food, their synergistic lifecycles, and their resilience in the face of newfound threats. In that regard, Our Planet is jaw-dropping at virtually every turn. It provides sterling slow motion-enhanced glimpses of rare creatures (Siberian tigers, deep-sea oarfish), as well as eye-opening and hilarious mating customs, be it tropical birds engaging in outlandish dances (shimmying and swaying along branches like clownish club patrons), or fresh water fish collecting large stashes of shells to attract female partners. Migration and hunting are also inherent facets of the show’s action; there’s great suspense derived from tracking shots alongside cheetahs and jaguars (pronounced “jag-y-wars” by the august Attenborough) pursuing their prey. Sometimes, it just revels in their playfulness and lounging-around cool, as in a scene of floating otters scratching themselves in the midday sun. And, of course, there are the babies, portrayed in all their cute, cuddly, “aww”-inducing glory. Revealing the many obvious and surprising ties that bind our world together—such as how oceanic clouds protect us from rising temperatures by reflecting the suns’ rays back into space, or the way forests respawn thanks to birds consuming and spreading fruit seeds across vast distances—Our Planet astonishes, educates and inspires. It never misses an opportunity to impart hope for the future of Earth, which is as resilient as it is complex. Still, it contends that any such optimism for renewal is dependent on man taking greater responsibility for the widespread ramifications its progress has on the sea, the sky, the soil and the millions of organisms, big and small, that inhabit this shared home of ours. As gorgeous as it is somber, it’s a plea for change, lest its footage become a time capsule of an era lost forever.